This article first appeared in Personal Wealth, The Edge Malaysia Weekly, on June 25, 2018 - July 01, 2018. Malaysia’s heavy debt obligations and liabilities, the removal of a major revenue generator — the Goods and Services Tax — and alleged misappropriation of government funds have had many economists and the investor fraternity concerned about the impact of the national debt on the general public. While this state of affairs may feel fairly insulated from daily life for now, the fallout could eventually hit the man in the street if it is not properly addressed, experts tell Personal Wealth. As it is, investor confidence in Malaysia’s credit profile has been rocked by ongoing revelations of financial mismanagement by the previous government and the removal of fiscal measures that would have compensated for it. This can be seen in the large outflows of foreign holdings in Malaysian sovereign bonds. Kenanga Research reported that as at April, foreign holdings of Malaysian bonds were at 15.2% — the lowest in eight years. Foreign investors were also net sellers for the second consecutive month in May, with RM12.9 billion sold compared with RM4.7 billion in April. 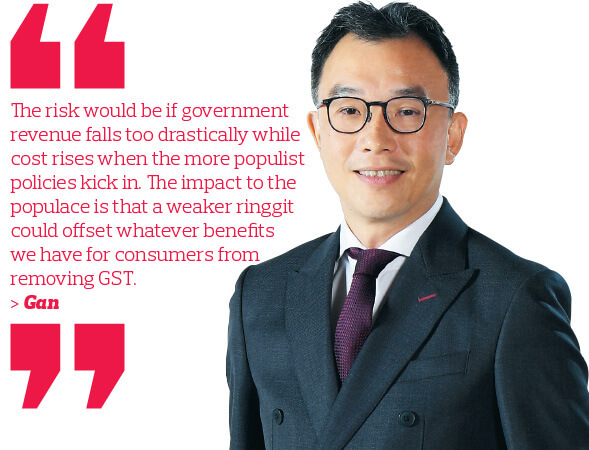 Lee Heng Guie, an economist and executive director at the Socio-Economic Research Centre (SERC), says the national debt could lead to higher interest rates and cause a snowball effect thereafter. “The more investors fear a default on the government’s debt obligations, the more they will sell bonds. This will push bond yields higher and make the debt securities more appealing to investors, relative to stocks,” he adds. 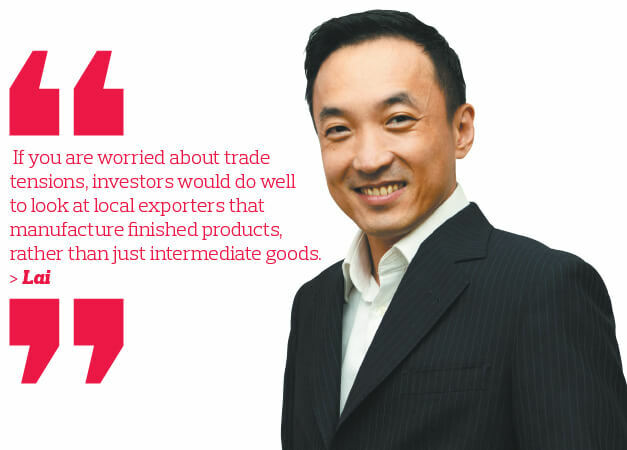 Professor Yeah Kim Leng, professor of economics at Sunway University Business School, agrees. He says bond yields will see upward pressure as investors demand greater compensation for what they perceive to be an increased risk premium for holding on to government debt securities. “The selling pressure signals an increase in the risk premium for holding Malaysian government securities (MGS). But we see this only as a temporary phenomenon, largely in reaction to the government’s efforts to undertake financial restructuring to reduce our debt levels, as well as to enhance the financial position of the country, given the large-scale financial scandals that happened under the previous administration,” says Yeah. But in the unlikely event that the local market lacked the liquidity to pick up bonds offloaded by foreign investors, a painful sequence of events could unfold. “This would become an issue of whether the country is facing a credit crunch, which is to say we no longer have enough money to support bond buying. The government itself would need to step in to buy bonds and other non-performing debt securities [to provide the much-needed liquidity],” Yeah explains. The worst-case scenario would be if the bond sell-offs become so deep that Bank Negara Malaysia is forced to print more money. But this would present yet another problem. With the runaway bond yields forcing the central bank to increase the amount of currency in circulation, an obvious consequence would be inflation. As the ringgit loses its value, the price of goods and services would begin to rise. One of the tools the central bank has at its disposal to keep inflation in check would be to raise the overnight policy rate (OPR). This, in turn, would prompt banks to raise interest rates across the board. “The rising interest rates would act to strengthen the value of the ringgit and hopefully, attract capital inflows now that the yields of Malaysian government debt securities have increased,” says Yeah. On the other hand, rising interest rates would dampen demand, he adds. With slowing demand, there would be weaker credit flows and overall economic activity would grind to a halt. This is where the country would enter the dreaded “austerity period”. “As a result, the demand for real estate would be adversely affected. Obviously, property values respond negatively to rising interest rates as there would be less credit available for borrowing to purchase real estate,” says Yeah. Eventually, the downward pressure on prices would see the economy and inflation rates return to normal levels. However, this domino effect is a worst-case scenario that Yeah does not foresee happening anytime in the near future. “We do not see any credit constraints being created by the current bond sell-off. We still have ample liquidity in the system [to compensate for the foreign sell-off of government debt securities],” he says. “It would be unprecedented for the central bank to print more currency just to support bond buying. Such a move would signal that our economy is on the brink of collapse. Affin Hwang Asset Management director of equities and strategy Gan Eng Peng. “We have this large domestic pool of savings, which is being used to cover the gap left by foreign bondholders. Hence, government bond yields have not spiked as much despite a RM14 billion outflow by foreign bondholders year to date (as at June 12),” he adds. He notes increases in various key debt indicators for Malaysia. “The direct debt-to-gross domestic product ratio had declined from 54.5% of GDP at end-2015 to 51.4% at end-March 2018. The government guarantees-to-GDP ratio had been hovering between 15.2% and 15.4% in recent years before easing to 14.7% at the end of last year. The 10.5% annual debt growth outpaced the 6.5% annual nominal GDP growth and revenue growth of 3.6% between 2008 and 2017. “The debt service charge (DSC) relative to revenue is rising, from 8% of total revenue in 2008 to 13.1% last year. The DSC grew at 9.5% per year between 2008 and 2017. A rising share of revenue dedicated to debt-service payments weakens a government’s ability to implement desired policies,” says Lee. Even so, Lee believes there has been some precedent in our history on how to mitigate the effects of elevated national debt levels. “The government in the late 1980s recognised the adverse consequences of unsustainable debt levels and fiscal deficits. It undertook some painful restructuring measures, which involved the reprioritising of public projects, downsizing of the public sector and the privatisation of government agencies, in addition to adopting a prudent and active management of debt,” he points out. How should investors position their portfolios? While there continues to be news flow on Malaysia’s fiscal position, experts believe that there are opportunities investors can capitalise on going forward. 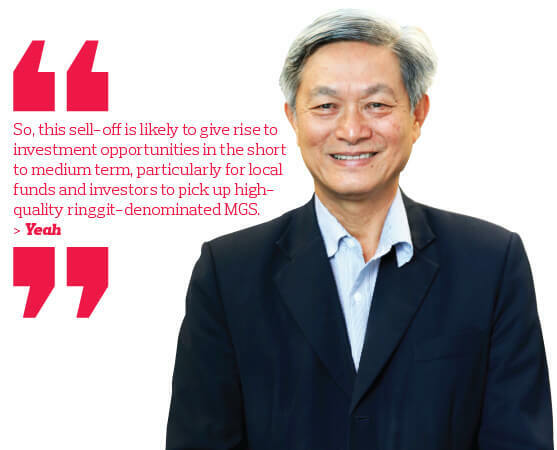 OCBC Bank (M) Bhd vice-president of wealth management research Michael Lai breaks down the current investment climate. “I think we have already seen the market discount a lot of the negative news that has come to light in recent weeks,” he says. Additionally, it makes sense to invest in local companies that contribute to the country’s ongoing trade surplus. Amid this pocket of opportunity, however, Lai advises investors to be mindful of the protectionist rhetoric coming out of the US and China. “Malaysian exports tend to comprise intermediate goods, which are shipped to China. Those goods are then exported to the US,” he points out. Even so, broader capital outflows out of emerging markets mean local investors should consider moving some funds into the more developed markets. “It is always important to keep a diversified portfolio. Since Malaysia enjoys good access to global funds, local investors should take advantage, especially considering that we have seen a lot of short-term capital moving to the US dollar and US markets on the anticipation of higher US interest rates and bond yields,” says Lai. Overall, the options in traditional asset classes appear limited. “Fixed-income assets are facing tightening monetary policies around the world, or at least across the developed markets. Fixed income as an asset class obviously still has a part to play in a portfolio, but it does not have very good prospects for capital gains,” he says. “Meanwhile, on the equities front, we are coming up on a decade-long bull run. We have seen short-term sell-offs across many equity markets so far this year, so investors are wondering just when this bull run will come to a halt. In the weeks since the historic downfall of the Barisan Nasional coalition at the 14th general election, Finance Minister Lim Guan Eng has been regularly updating the public on the government’s debts and liabilities. At one of his briefings last month, his explained that the RM1 trillion debt is made up of official federal government debt (RM686.8 billion), government guarantees for various entities (RM199.1 billion) and Public-Private Partnership projects (RM201.4 billion). Socio-Economic Research Centre executive director and economist Lee Heng Guie explains, “Technically speaking, federal government guarantees are not included in the public debt total until there is a call on the guarantees. The International Monetary Fund has classified government guarantees as an explicit contingent liability to the government, where it is not accounted as direct debt, but recognised as a memorandum item on the government’s balance sheet. National debt in itself is not a bad thing. Like any private household, governments need to borrow money to finance certain big-ticket expenditures. “Governments need to borrow money if their revenue and savings are not enough to cover their operating expenses and capital investments,” says Lee.